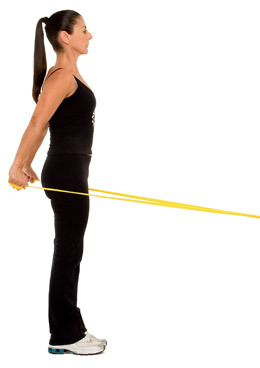 Start facing forward and holding the bands with arms parallel to the body, hands slightly behind you. Pull until you feel some resistance. 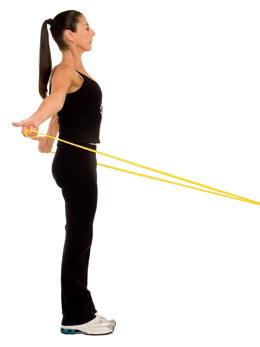 Proceed to pull the bands out and back by rotating your thumbs out and moving your arms 45 degrees away from your body. Resume the starting position. Repeat 10-20 times.